Sydney's Fashion Diary: What are you thankful for this Thanksgiving? I love holidays especially Christmas and Thanksgiving. There is nothing I enjoy more than having my family over, celebrating the holiday and enjoying each other’s company. Thanksgiving is just a few days away. I'd like to delicate this post to thank the most significant people in my life. What I am thankful for the most is my parents. They have been understanding, standing by me and extremely supportive in many ways. I would be lost without my Mom and Dad. Life is not easy! No matter what happened, they were always there to guide me but let me make my own decisions. My parents did the best they could for us and I am very grateful to have them as my parents. Last but not least, I am very thankful for the e-relationship I have with my blogger friends. I'd like to thank Nelah who made me this beautiful hand-made picture frame. 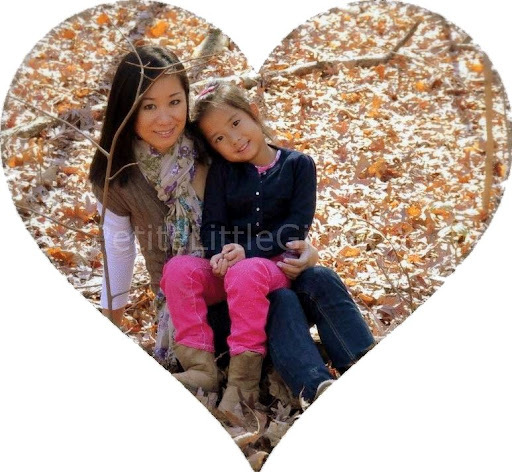 We are able to connect and relate to each other not only as Asians and petites but also as being a Mom. I am blessed to have a chance to meet many wonderful ladies who share the same interest as mine even though we all come from different backgrounds. P.S: Don't forget to enter my giveaway for a chance to win a TLBC bra of your choice. The giveaway ends Dec 1st at midnight EST. What a sweet post. I have to echo a lot of the things you are thankful for - family, job, friends and e-friends alike. Although my job brings me a lot of stress I know there are many more out there who are still trying to find one. What an endearing post! <3 I hope you have a wonderful and safe Thanksgiving with your family! aww this is a great post. i am thankful for a lot this year as well. your daughter is so adorable! I'm thankful for the same things as well. I have wonderful support from my blogger friends, real life friends, family, and boyfriend and I wouldn't trade that for anything! You and your daughter are really adorable! this was a such a sweet post :) have a great thanksgiving!!! such a cute post! i have to agree with you on everything. i feel lucky to have my family close by and to have such a sweet supportive bf!! have a happy thanksgiving. your little girl is so adorable. Very touching words. I smiled when I read about the Louis Vuitton, cuz I said the similar thing to my daugter: I'd rather pay your tuition than buying 5 pairs of Christian Louboutin every month. :) YOur daughter is such an angel. I know your feeling. She definitely worth your every penny. Have a joyful thanksgiving. Though my career and professional aspirations are very important, family and friends and love still trumps it all! What a sweet post and very precious photo of the two of you! your daughter is so cute! a carbon copy of you! Awwww You are sweet. I am thankful for my husband too. I am thankful for my health, my family and my friends. I feel blessed that I am surrounded by so much love everyday. i am truly thankful to all of those people that have stood by me -- parents, friends -- and to all the new friends i've made out there through blogging too! thanks for the wondeful post. Aww, great post! Your little girl is sooo very cute! Happy Thanksgiving love! Your little girl is so cute!